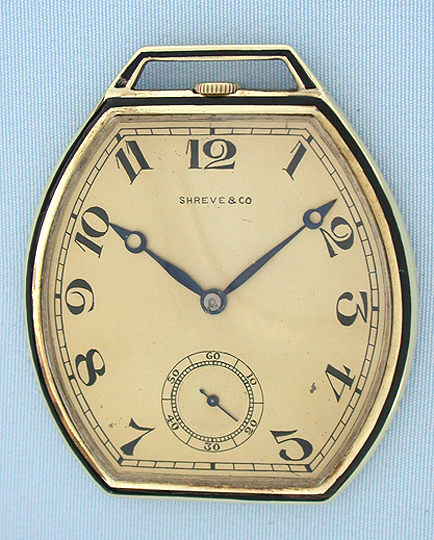 Fine Audemars Piguet slim 14K white gold and enamel Art Deco antique pocket watch circa 1914. 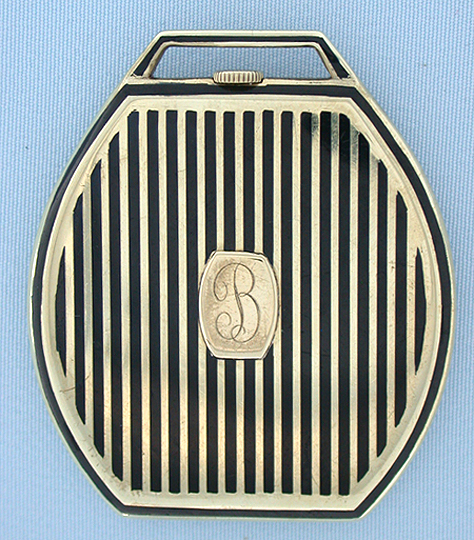 The tonneau shape case with integral bow decorated with stripes of black enamel. Silver dial (tiny spot) with black numerals and blued steel hands. 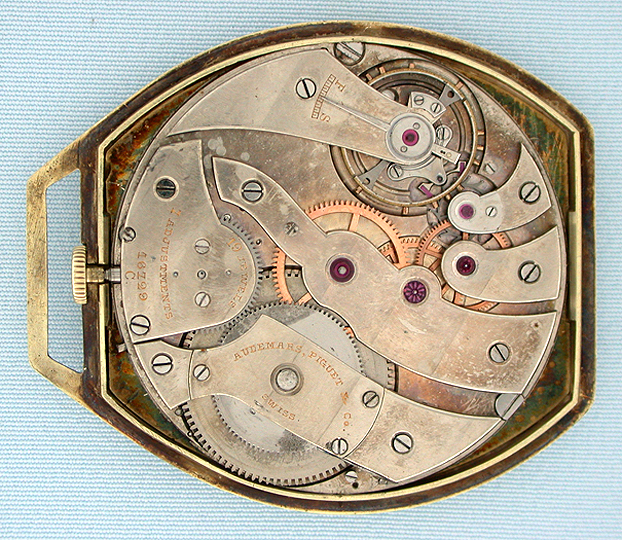 Nickel 19 jewel 7 adjustment movement with gold wheel train. Handsome.